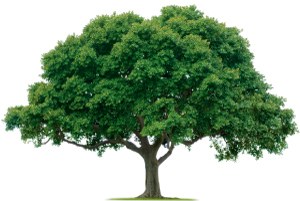 treesensor.com is committed to providing a pleasant online experience for all users. We accept payments via Credit Cards, Debit Cards and Direct Bank Transfers. Credit Card Payments (Visa and Master Card) are processed instantly through the National Australia Bank’s NAB Transact payment gateway and hosted payments page. This is a secure site, and complies with the Payment Card Industry Data Security Standards (PCI DSS) and as such treesensor.com or ENSPEC does not record or store any credit card details. Direct Bank Transfers (EFT’s) can take up to 10 business days to clear, depending on the currency of payment used, and can also incur additional bank charges for the user. The preferred payment method for treesensor.com reports is via Credit Card. Prices are displayed at the time of purchase and include any applicable GST. Please note that treesensor.com reports are only released after payment has been recorded as being received. Once a report has been generated (downloaded) it can be viewed again without charge. Reports are stored on the treesensor.com site for a minimum of 12 months and then archived. Archived reports can be accessed on request. A fee for this service may be applicable. It is recommended that users save and retain a copy of their generated treesensor.com report, as periodic archiving of the treesensor.com database will take place.